I apologize for my unexpected hiatus - I expect to get back to regular blogging shortly. 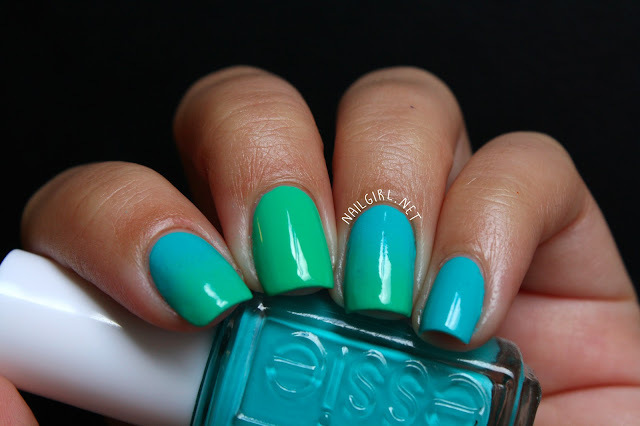 Today, I've got swatches from Essie's 2013 Resort collection. However, I thought I might do something different from what I usually do. I decided to do a gradient with both of the colors because they are just so gorgeous together! I was actually inspired by this particular post on The Nailasaurus to swatch like this, so I can't take all the credit, haha! I hope you like this polishes as much as I do! 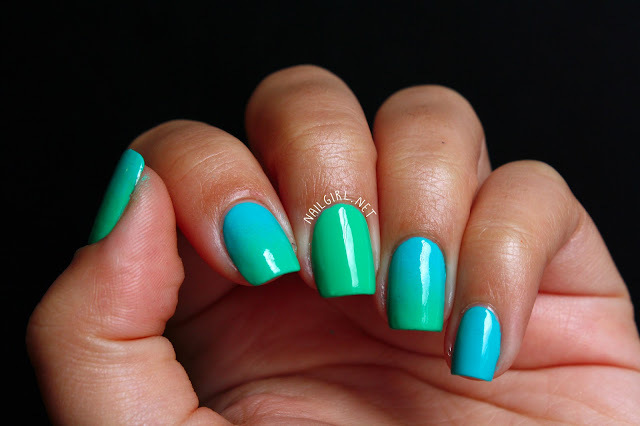 Lovely colors, you have a great blog, what about follow each other ? Gorgeous indeed! Not only are the colours lovely, I also really like the shape of your nails. Aw thank you so much, Trish!